The 2018 52 Super Series season stood out before it had even started. Of the 12 teams at the opening event, 9 had brand new boats at the dock. Nine highly refined, carbon fibre machines, costing around 2 million Euros apiece. And when it came to the teams, there were Olympic medallists, America’s Cup victors, inshore rock stars and offshore heroes…the dockside was awash with talent. Whichever way you looked at it, this was going to be a tough season to win. This 52 Super Series season special looks at how the season’s racing panned out as well as going behind the scenes to find out what makes the teams and their technology tick. 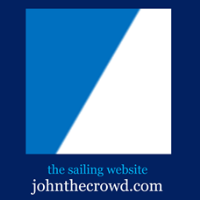 The World Sailing Show video above published Jan 2, 2019.